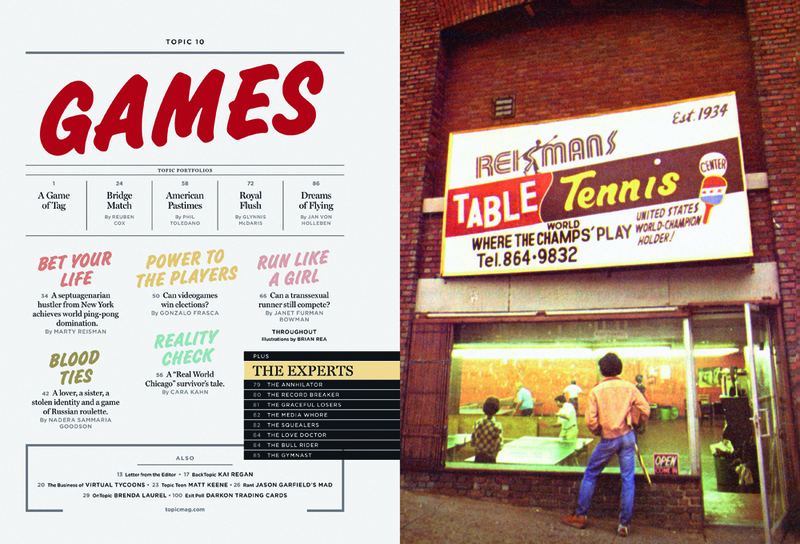 Above: spread from 'Topic 10: Games', 2006, uses a signpainter's font (Challenge extra bold) against a more rigid grid system to 'play the vernacular off the modern.' Photograph from the collection of ping-pong legend Marty Reisman. Design: Giampietro+Smith. For more information about Giampietro+Smith see the site www.studio-gs.com. Rob Giampietro has since left the practice; you can follow his progress at linedandunlined.com.